Frantz Fanon's relatively short life yielded two potent and influential statements of anti-colonial revolutionary thought, Black Skin, White Masks (1952) and The Wretched of the Earth (1961), works which have made Fanon a prominent contributor to postcolonial studies. Fanon was born in 1925, to a middle-class family in the French colony of Martinique. He left Martinique in 1943, when he volunteered to fight with the Free French in World War II, and he remained in France after the war to study medicine and psychiatry on scholarship in Lyon. Here he began writing political essays and plays, and he married a Frenchwoman, Jose Duble. 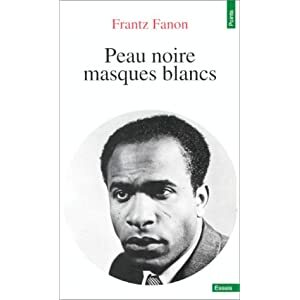 Before he left France, Fanon had already published his first analysis of the effects of racism and colonization, Black Skin, White Masks (BSWM), originally titled "An Essay for the Disalienation of Blacks," in part based on his lectures and experiences in Lyon. BSWM is part manifesto, part analysis; it both presents Fanon's personal experience as a black intellectual in a whitened world and elaborates the ways in which the colonizer/colonized relationship is normalized as psychology. Because of his schooling and cultural background, the young Fanon conceived of himself as French, and the disorientation he felt after his initial encounter with French racism decisively shaped his psychological theories about culture. Fanon inflects his medical and psychological practice with the understanding that racism generates harmful psychological constructs that both blind the black man to his subjection to a universalized white norm and alienate his consciousness. A racist culture prohibits psychological health in the black man. For Fanon, being colonized by a language has larger implications for one's consciousness: "To speak . . . means above all to assume a culture, to support the weight of a civilization" (17-18). Speaking French means that one accepts, or is coerced into accepting, the collective consciousness of the French, which identifies blackness with evil and sin. In an attempt to escape the association of blackness with evil, the black man dons a white mask, or thinks of himself as a universal subject equally participating in a society that advocates an equality supposedly abstracted from personal appearance. Cultural values are internalized, or "epidermalized" into consciousness, creating a fundamental disjuncture between the black man's consciousness and his body. Under these conditions, the black man is necessarily alienated from himself.